Pastor Phil Pelphrey after his first sermon here Sunday, July 13, 2014. 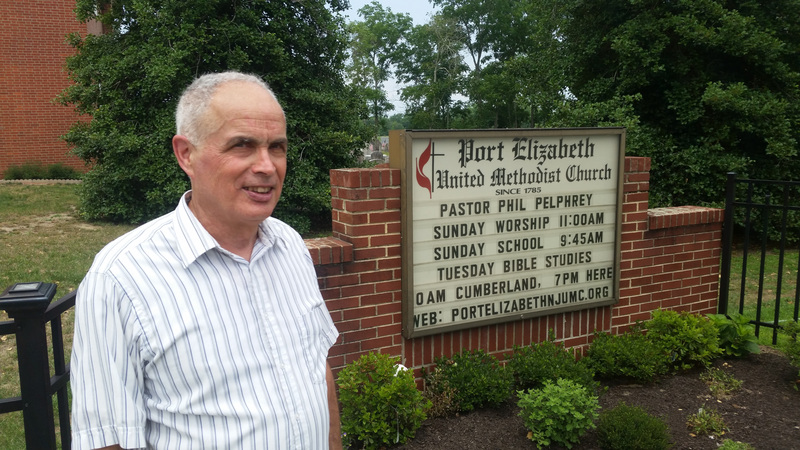 Philip Pelphrey has been appointed to be our Pastor here at Port Elizabeth United Methodist Church, Port Elizabeth, NJ in addition to his current appointment at Cumberland United Methodist Church, Millville, NJ. Pastor Phil leads multiple Bible Studies throughout the week along with Corporate Prayer and visiting members at home. If you are interested in membership or baptism please contact Pastor Phil for more details.